Is the name of a first bot we have created for our team. She was working "under the cover" in out team as a real HR without people knowing she is actually a bot. That was a time when we started to think about the ethical side of the bots, which are so similar to humans. Since then we created more AI applications and bots and decided to let our first creature - Lucy to impersonate them for you as we started to love her so much as a real part of our team. How robots can help you? can make your team happier! Lucy step-brother, a super-hero, who helps managers of large #Slack teams to boost response rate for internal messages by 1,200%! Know how happy are your customers without asking them! 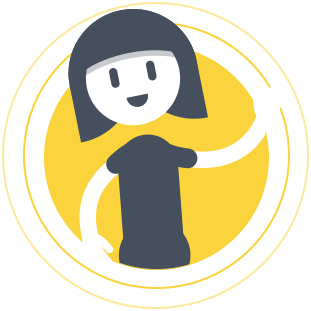 Lucy is trained to evaluate customer happiness on the scale from -1 to +1 by reading their conversations with your service desk. Ever wanted to boost communication standards in your company? Lucy rates every message a team member has sent to a customer on -1 to +1 scale and helps to set measurable politeness targets. 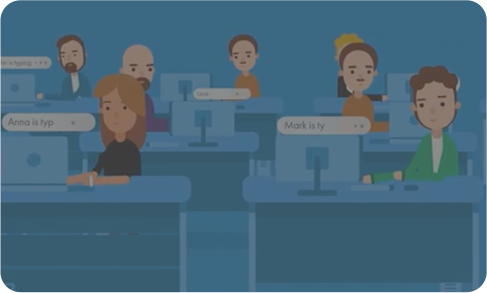 Facebook bot as an HR - need to hire an IT crowd? 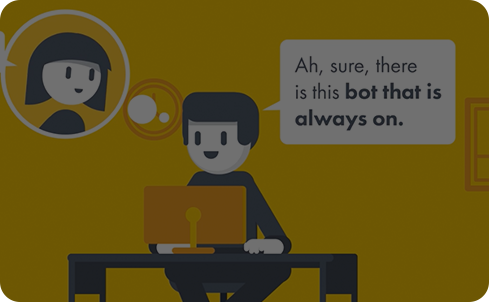 Tell that your HR is a bot and they might love to speak to it. We ran a pilot and got a dozen of CVs sent! Top20 Go player, PhD in Quantum Computing, vegetarian and father of two lovely kids. Mixing tags, weights, machine learning and neural networks to train Lucy into much smarter creature. Took a service start up from parents apartment to deploying solutions to Jaguar, New York Times, Thomson Reuters, L'Oreal and Walmart. Beings product vision to the team in a PO role. Shook hands with Mr. President winning international Olympiad in Bioinformatics, trained in statistics and R language, started his career helping our team as Python developer and data analyst to finish Happiness Evaluation MVP. Hands-on creative, who helps to breathe life and fun into big data and AI scripts. Where we see data and scripts, she sees characters and persons! Hacked social network, got bounty security reward from a bank, likes to ride at work on a bicycle and spend time with his daughter. Our products are only as big as the goals and ideas that you have! We would be happy to strike a conversation or meet. Half of our team is based in Palo Alto and half in Northern Europe, Latvia, Riga.